AWE Tuning Vent Mount Gauge Kit - Dezod Motorsports Inc - Home of the automotive performance enthusiast since 2002. From the originators of the vent mounted boost gauge comes another perfectly-matching masterpiece. The gauge precision is unmatched, and the kit just oozes quality. Back lighting is via crisp LEDs, ensuring a perfect match to the factory instrument cluster. 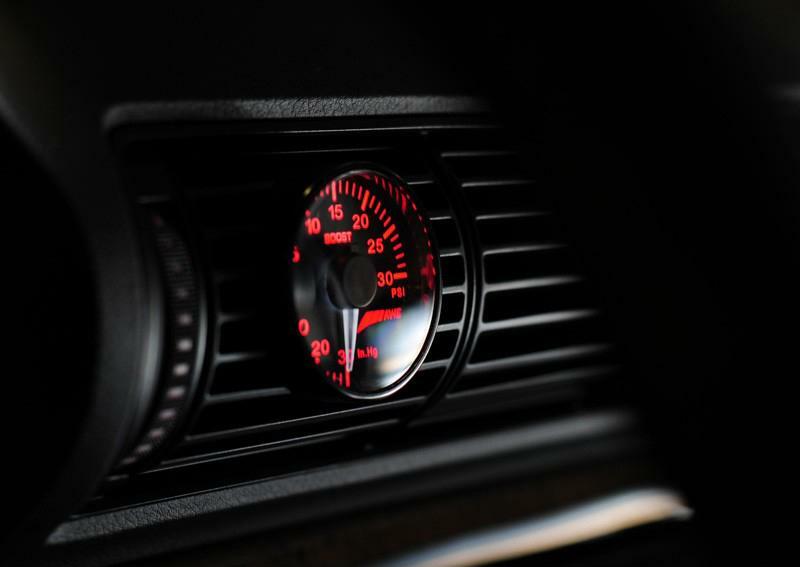 Not only does the gauge match the lighting scheme exactly, but the gauge mount is designed to allow air to still flow into the passenger compartment. Functionality, except for being able to close the vent, is maintained. This gauge package is engineered to be the best.